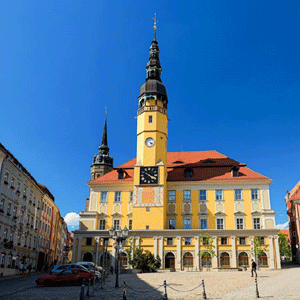 The English guided tour is an informative tour around the old town of Bautzen. Discover the over 1000 year old city, whose townscape consists of high towers and fortified bastions. You will pass the Alte Wasserkunst with the Zwinger, the Matthiasturm with Ortenburg and the St. Petri-Dom in Bautzen. In addition to its diverse architecture and lively history, the Türme-Stadt® is fascinating with its fantastic views and insights. Visit the city of towers and let yourself be seduced. Experience your very own individual guided tour!